My stomach sank and my heart started racing. Both of my kids were not home. 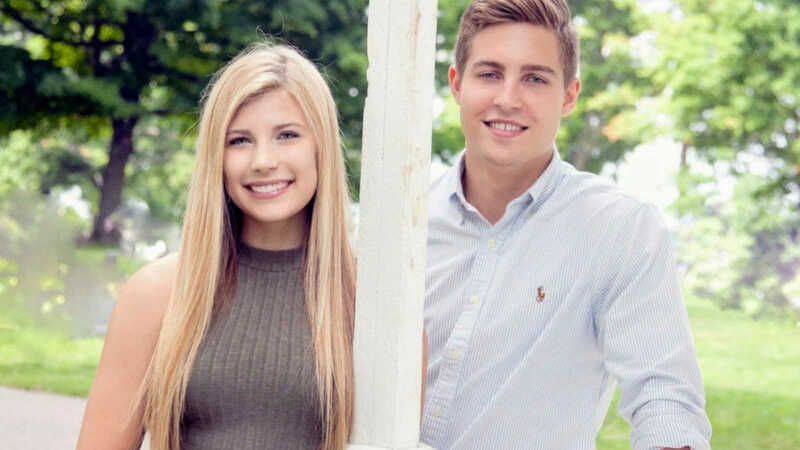 Trever, my son, was at Grand Valley University in his second freshman semester and my daughter, Darian, was at hockey practice in Lansing. But I knew they were here about Darian because she normally texts us when she leaves practice and we hadn’t heard from her. In fact, we were just trying to reach her, texting and calling her and her friend’s phones. My husband, Troy, was about to leave to go to the rink when they pulled up in front of our house. In the weeks that followed my daughter’s death, as you can imagine, we were completely and utterly devastated. We were angry and did not understand why a loving God would allow this to happen. To her or to us. She was such a sweet angel and we thought we were good people, so why? Just, why? That question haunted us. I do believe that everything happens for a reason, but I could not even come close to conjuring up a reason for this to happen. We searched for ways to heal and decided to lean on our savior, Jesus Christ, for comfort and strength. We started attending church every Sunday. It felt good. We started listening to nothing but Christian music. It lifted us up. We read books about how facing difficulties will strengthen our faith and that we CAN find hope in our loss. We became extremely close with one of our church pastors. We cried and we prayed – a lot. We started bringing family, friends and some of our kids’ friends with us to church, and they said it felt good to them too. Eventually, our ‘church crew’ grew to 2 or 3 rows on any given Sunday. We cried a lot and held each other during the services. Something amazing was happening. God was using this tragedy to bring us all to Christ. 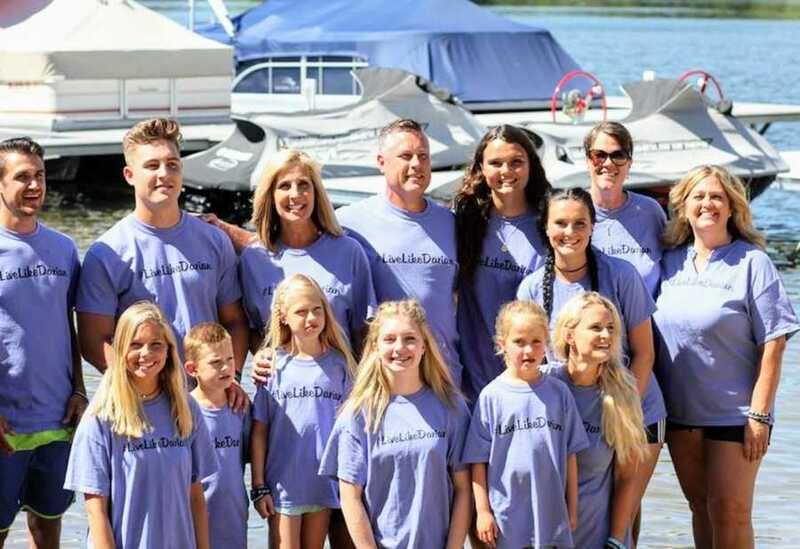 In fact, we all took our next steps with Jesus on July 7, 2018, and got baptized in our lake. Twenty-one people were baptized that day with over a hundred people watching. 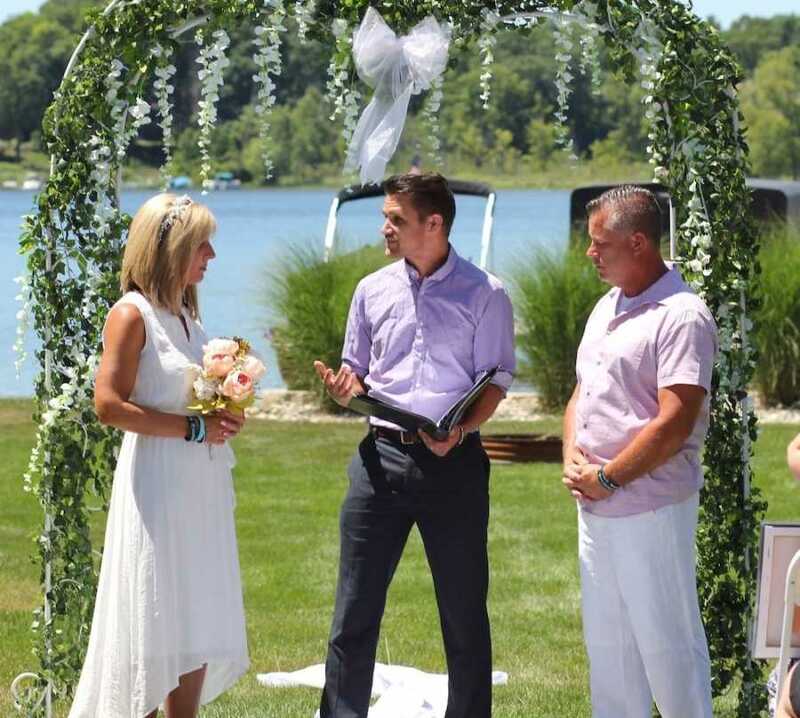 My husband, Troy and I also renewed our vows after 25 years of marriage. We wanted to make a promise to each other to not let this destroy us as it does so many other couples who have lost a child. We also wanted to make sure that we treasured our son and not allow this tragedy to overshadow his tremendous value to us. So, the story of our journey with Christ began. But I still wondered what else are we supposed to do? I asked God to please help me understand. It started to become clear a couple months after Darian’s death. A mom who used to live in Brighton contacted me on Facebook and told me how her daughter had gone to middle school with Darian in 8th grade. She said that her daughter’s friend group had basically exiled her from the group and she literally had no friends. Except Darian. She said that Darian was kind to her and coached her through a very difficult time, when she had no one else. She told me how it was such a trying time for their family, and that they would always be grateful for the way Darian helped her daughter just by being kind to her. She allowed me to share that story on Facebook. From that point on, we started receiving more stories from various kids about how Darian’s kindness was a saving grace for them when they had no one. One girl told me how she had been sexually assaulted by a boy from school, and when she came forward about it, no one believed her, and her friends even turned on her. 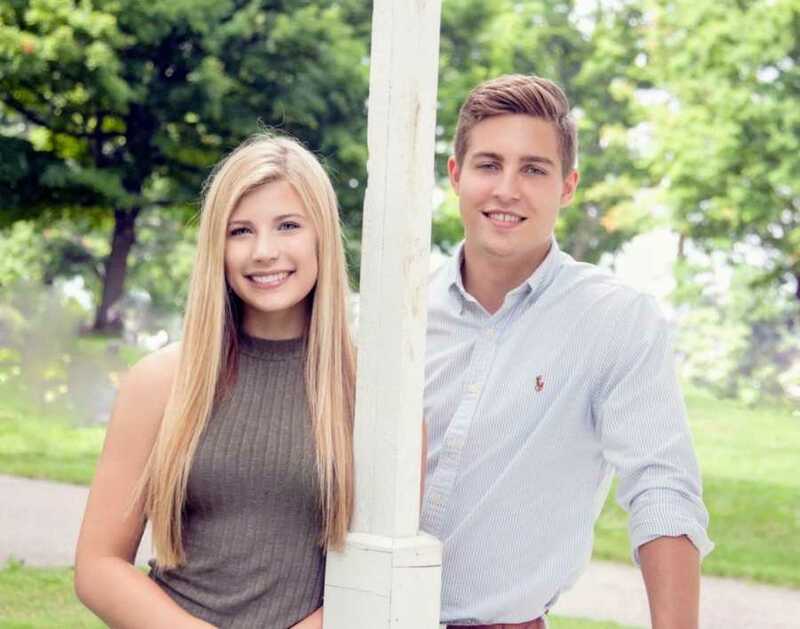 She said Darian was the only person at school who would talk to her, and she was forever grateful for the compassion that she showed her in a time of need. Darian’s kindness had gotten her through a very dark time. Another parent came to me and told me they had found a suicide note in their daughter’s bedroom about two weeks before Darian died. When they sat her down to talk about it, she said she was being bullied at school and was so depressed that she actually HAD considered taking her own life. But one day, Darian smiled at her in class and they became friends. Once again, Darian was simply kind to her. Darian listened and coached her through it to the point where she grew to value her life and set aside her initial thoughts of suicide. Praise God. A few months later, a teenage boy came to me to tell me that he knew Darian in 4th grade and how he was often bullied at school by other kids. There were several times when he was sitting at the lunch table by himself, and when Darian saw this, she grabbed all her friends and came to sit with him. He, too, now comes to church with us on a regular basis and was recently baptized. Praise God again. These are just a few of the stories we’ve heard about our beautiful daughter and how she impacted so many lives in such a positive way. The odd thing is she never told us about any of these kids she helped. She just did it. I have to add that anyone who knew Darian, knows that she was EXTREMELY shy and just a little socially awkward. Okay, maybe more than a little… She struggled to even order food from a menu when we were out to eat. Imagine my surprise at all these stories of MY child’s courage to show kindness to these kids when it was not the popular thing to do. Knowing what I know about middle and high school kids (especially girls), I’m almost certain that she took some flak for befriending these kids. But she did it anyway because she had been bullied herself and knew how it felt. I won’t go into the details about that, but I do believe she was hurt by it, so maybe she made a promise to herself to not let others suffer the way she did. This is a hypothesis on my part, but it really is the only logical explanation. Darian was not only kind, but she was about as brave as they come. I couldn’t be more proud to call her my daughter. After a few months of these stories coming out, we decided to do a modest little thing to honor Darian, keep her memory alive, and to promote kindness in our local schools. We had some rubber bracelets made with the saying KINDNESS IS BEAUTIFUL on one side and FLY HIGH DARIAN on the other. We gave them to her friends, and they were tasked with handing them out to anyone they saw doing something kind for someone else. Within hours, the kids had given them all out, and they posted their pictures on social media wearing their Darian bracelets. From there, it caught on like wildfire. My first order of 300 bracelets was gone in a matter of days. 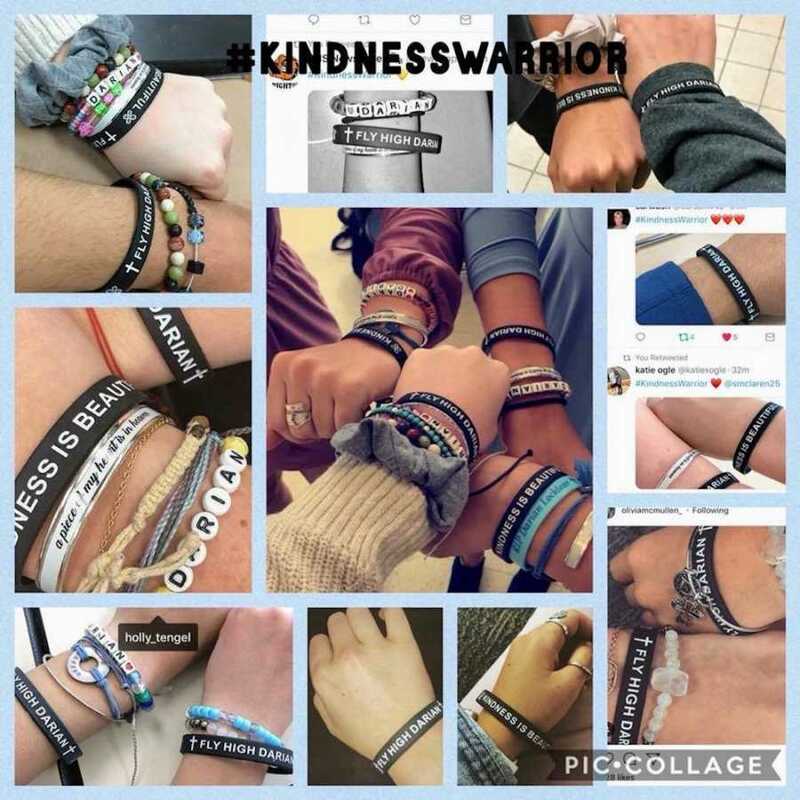 We had kids, teachers, and parents from all over Michigan reaching out asking how to get these bracelets. I even had teachers and parents from other states like Arizona, Florida, Texas, Ohio, and California ask for bracelets. In total, we have handed out over 5,000 bracelets in the last year. It truly is amazing to see so many kids (and adults) wearing their Darian bracelets. What’s even more amazing is the reminder it gives us to be kind. Slow down. Say thank you. Tell someone they look nice today. Apologize. Be the bigger person. Include others. A little gesture of kindness goes a long way. Especially to those who are hurting. All of this was so beautiful, and it truly helped us heal. But I knew there was supposed to be more. I kept asking God to show me HIS purpose and tell me what I was supposed to do next. And it seemed like every time I asked that question, another kindness story would show up on my doorstep. Then God blessed me with one special teacher at Hornung Elementary School who wanted us to come in and talk to her 4th grade class about Darian’s kindness (a big shout out to Lisa Geise!). 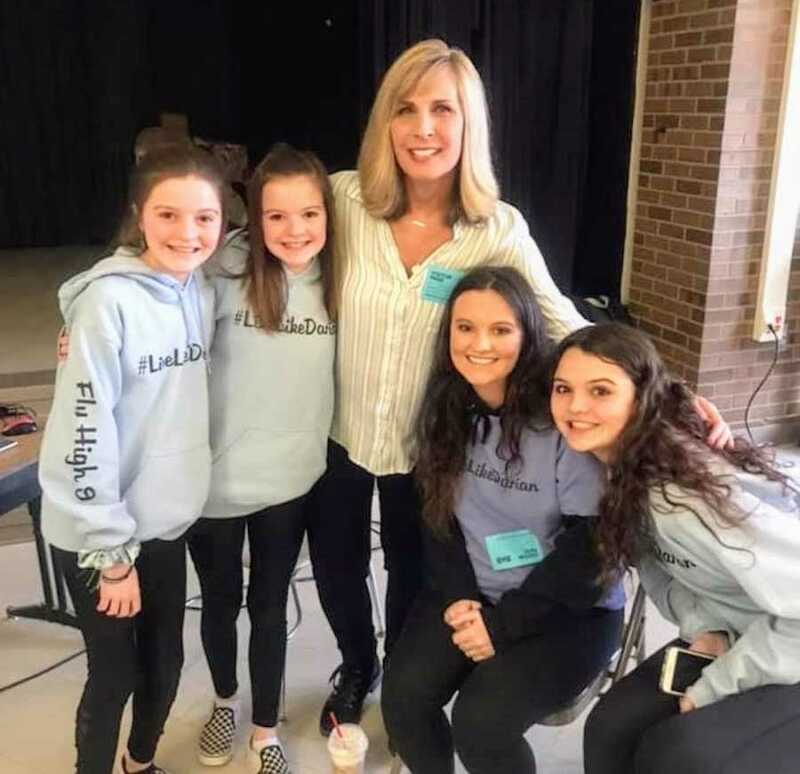 Armed with my husband, Troy, Darian’s best friend, Ashlyn, her sister, Lexi, and mom, Amy, we did our first ‘kindness talk’. It went so well that other teachers started asking for us to come in and talk to their classes. We are now doing these talks this school year and will continue to do so until we’ve hit every 4th, 5th, and 6th grade classroom in Brighton. When we go into these schools to tell Darian’s story, we have intimate discussions with the kids about the Aesop quote, ‘No act of kindness, no matter how small, is ever wasted.’ We talk about how the use of cell phones and social media can be dangerous if you don’t use it in a positive way. We talk about difficult subjects like teen depression and suicide, and how they can possibly help someone just by including them or being kind. The kids seem to be very receptive. If we can reach even just one child, who, in turn, can help another, then it’s worth it. Other cities are asking us to come talk to their classes as well, so I’m guessing this could keep us busy for a while. Another activity keeping us busy are various fundraisers we have been doing to promote kindness. Our first big event was with my employer, Cooper Standard, who was sponsoring a 5K fundraiser for Gilda’s Club of Detroit. We decided to start a team called DARIAN’S KINDNESS WARRIORS. We had over 100 participants and raised over $14,000 for Gilda’s in a matter of weeks. We wore our special LIVE LIKE DARIAN t-shirts that the Brighton High School girls’ varsity soccer team made up in honor of Darian. 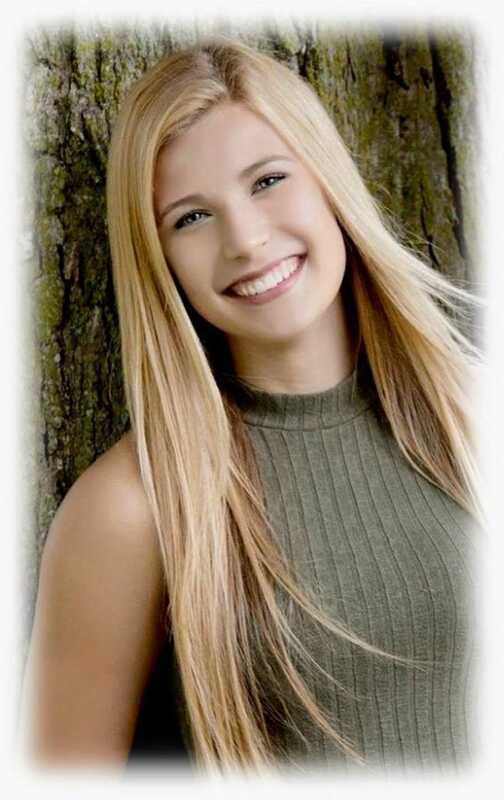 Although Darian did not play soccer, she had some good friends on the soccer team. 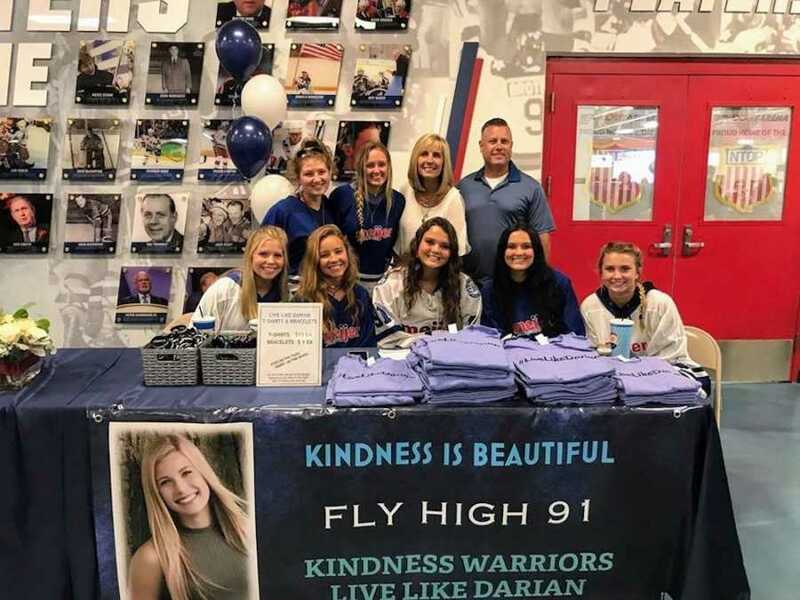 From there, we did a 3v3 girls hockey tournament, a SKATE FOR KINDNESS fundraiser, and we attended several other local fundraising events, which allowed us to piggyback on their event so we could honor Darian and continue to promote kindness. Our next event titled Dash for Darian – 5K for Kindness, will be held on May 4th at Brighton High School. In the last few weeks, I’ve decided to leave my employer and focus on this whole kindness movement full-time for a while. We’ve started a 501(c)3 non-profit foundation called The Darian Locklear Project and we are currently raising money for the first Darian Locklear Kindness Scholarship, which will be awarded to one or two high school seniors at Brighton High School this May. This would be Darian’s senior year. She would be doing special things like going to prom, high school commencements, graduation parties, and then heading off to college. I imagine it’s going to be a difficult few months for my family. But we are learning to live with this terrible loss and will continue to fight to keep her memory alive; to promote kindness in her honor so that we can securely say ‘she did not die in vain.’ This was God’s plan. As much as I don’t like it, I find some comfort in the beautiful legacy of kindness that our daughter has left behind. I have learned that regardless of the circumstances, that if allowed, God will take something awful and bring good. I truly believe that countless lives – and their eternal destination – are being change because of the kindness Darian quietly shared with others. Our lives will never be the same. We are trying to get accustomed to our new ‘normal’. We miss her sweet face every minute of every day, and long for the day when we will be reunited in heaven. I can’t wait to ask her, ‘Did you see all the hoopla you started down here?’ It makes me smile, and I know she’d be so proud. This story was submitted to Love What Matters by Regina Locklear. Learn more about the Darien Locklear project here. Submit your own story here, and subscribe to our best stories in our free newsletter here.